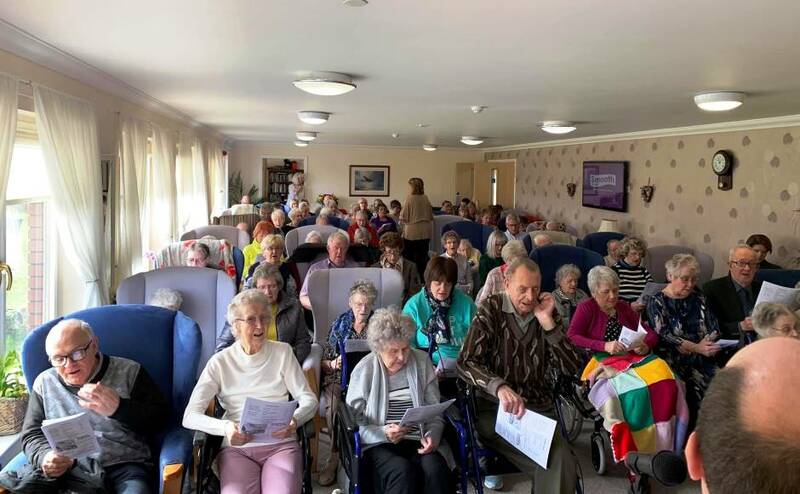 Rev Bryan Kerr of Greyfriars Parish Church in Lanark led worship at nearby Beechgrove Care Home at the weekend to bring the experience directly to elderly residents “lock, stock and barrel”. Residents at Beechgrove Care Home thoroughly enjoyed the experience of having church come to them. Around 90 people of all ages including relatives of residents, attended the service which was aimed at reconnecting people with the community that they may feel more isolated from. “We regularly go to nursing homes to lead worship during the week but to intentionally go on a Sunday morning with the whole congregation is an incredible experience,” he added. 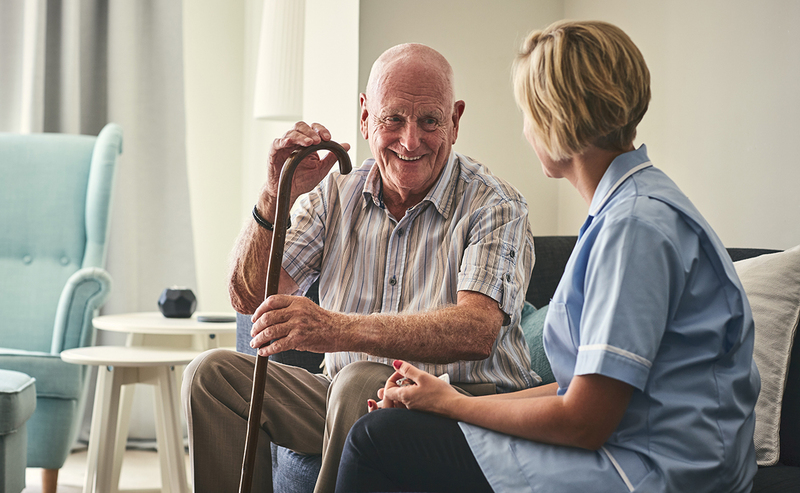 “It would be easy to organise a bus and bring residents to church but care homes often struggle with staff numbers on a Sunday to accompany them. “But more than that, there is something Biblical about following Jesus command to 'go and make disciples'. The service was led by Rev Bryan Kerr of Greyfriars Parish Church. Mr Kerr said some residents have been gathering on a Sunday morning in the 70-bed care home’s cinema room to watch Greyfriars services streamed live. “They have spoken of how connected they feel with the church family so it was wonderful for them to meet the children they see running around the church on camera in person,” he added. 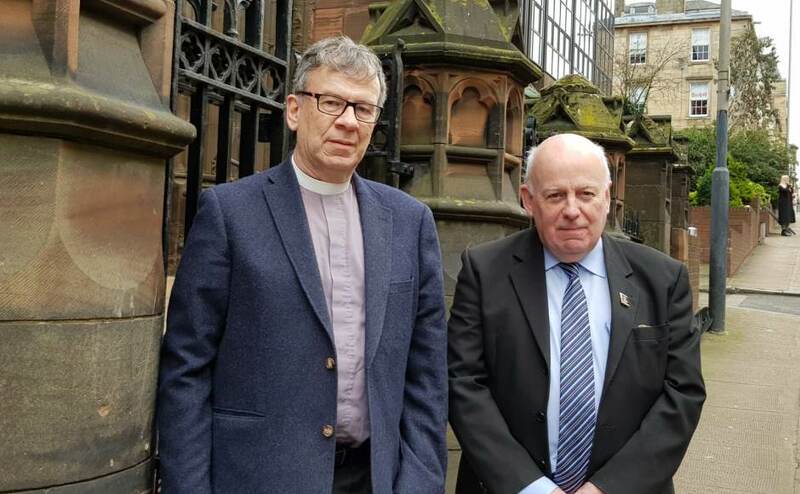 The minister said it was a pleasure to see relationships between churchgoers and residents rekindled as people connected with old neighbours and those whom they sat beside or behind in church for years. “The smiles on faces were as wide as could be when people remembered their former days worshiping regularly in our church and other churches around the area,” added Mr Kerr. 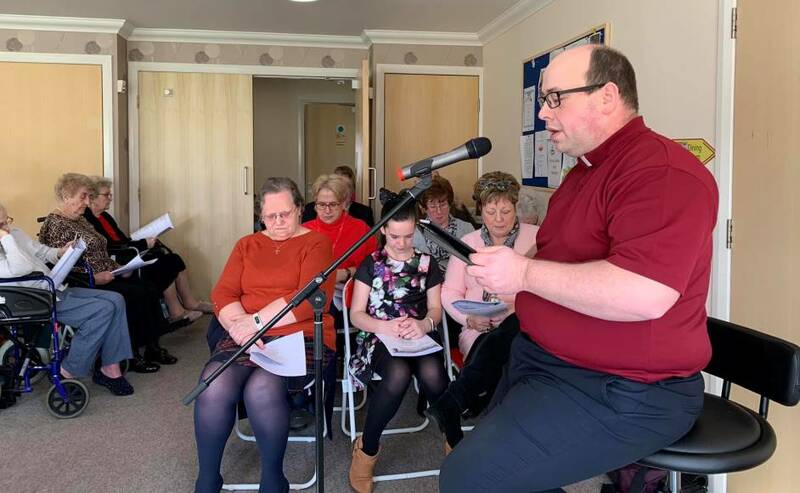 Mr Kerr said feedback from his congregation had been very positive and there was an appetite to meet at the care home on Carstairs Road on a regular basis. “We feel this is definitely the start of something new and positive and it is a way in which we can work to ensure our church is truly intergenerational,” he added. Greyfriars is a welcoming and flexible space for different expressions of worship. 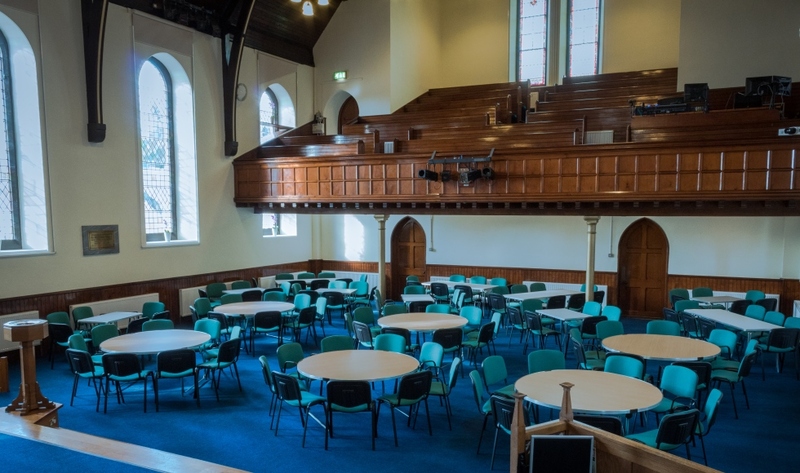 Greyfriars Parish Church recently underwent a £100,000 refurbishment to transform it into a community hub. The interior has been modernised to create a versatile and flexible space to enable the congregation to worship in more imaginative ways.